The older we are, the faster we get! Age is just a number! We are your neighbors, friends and family. 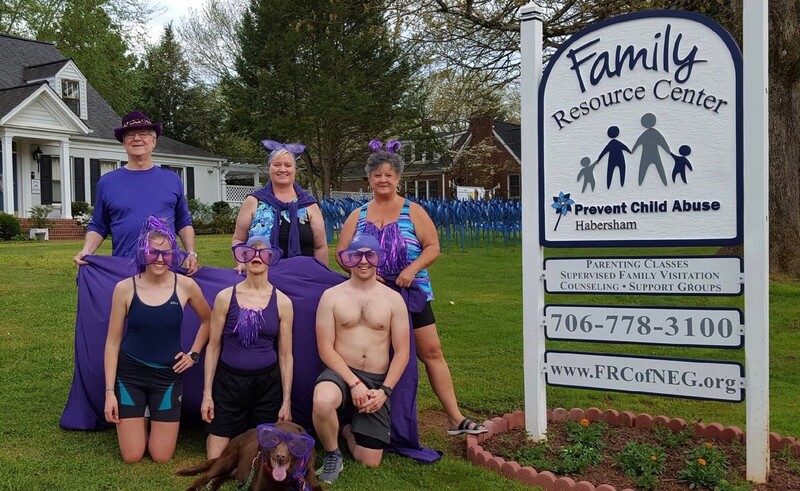 We want to support Prevent Child Abuse Habersham’s Family Resource Center. We want to make a difference. Please support us by donating to our team and wearing purple when you come to see us swim on May 4th!